EAEA President Per Paludan Hansen. In the aftermath of Brexit, it has become clear that there is a polarisation between the European citizens and the EU institutions. EAEA will continue to work for adult education and lifelong learning with all its members, whether in- or outside the EU, assures EAEA President Per Paludan Hansen. 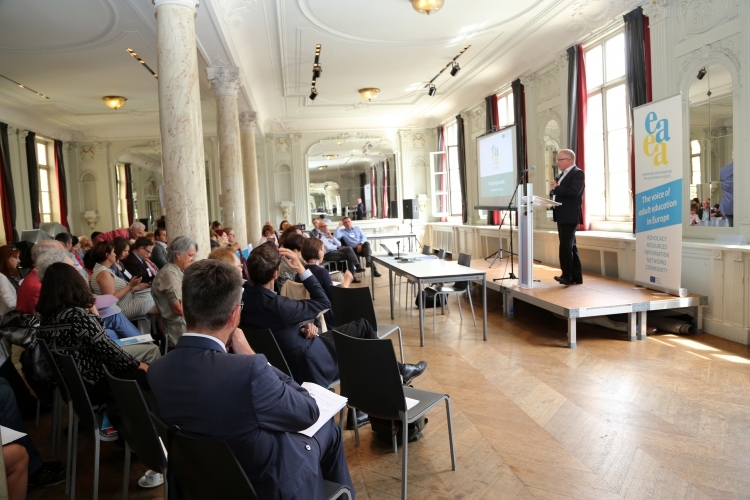 Mr. Paludan Hansen addressed the EAEA General Assembly in Brussels on June 28th. In his opening speech, he underlined that even though the full effects of the referendum in UK to the cooperation in the area of lifelong learning are yet to be revealed, EAEA will guarantee the support for its UK members and sees UK as a leading partner in adult education in Europe. “I’m a strong believer in European cooperation and in the European union. Most of all I believe in the values we share – open democracy and solidarity, respect for human rights and human freedom,” Mr. Paludan Hansen said. The UK decision, along with recent election results indicate a polarisation among European citizens that runs along social, educational, gender and generational lines. Mr. Paludan Hansen stressed that it will therefore be necessary for the EU and the remaining member states to rethink their policies and initiatives so that they serve the people of Europe. “We need a more participatory Europe. In recent years, the European institutions have done very little in reaching out to citizens in order to create a better understanding of what the EU is and what it’s value is for the people in Europe,” he said. Mr. Paludan Hansen stressed that a stronger connection between political leaders and the voters is needed. Adult education can have a role in that by promoting a learning Europe. 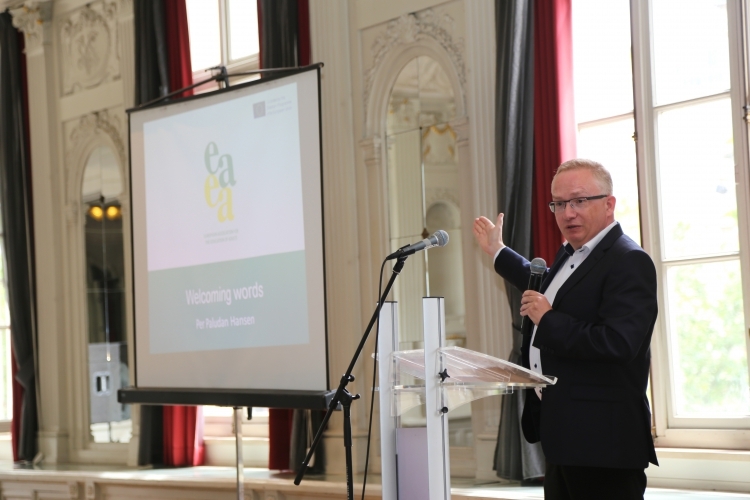 “EAEA urges the European Institutions and the member states to implement the proposed Skills Guarantee as soon as possible and to link it closely to active citizenship, civic competences and intercultural dialogue,” Mr. Paludan Hansen proposed. Adult education sector continues to work for and with the refugees coming to Europe. Mr. Paludan Hansen reminded that many of EAEA members have been active in welcoming refugees. The current refugee crisis in Europe brings to the light the fact that more solidarity is necessary among member states of the EU. “Europe is facing a humanitarian catastrophe. Adult Education can play a key role in the crisis: adult education providers and civil society organizations provide fundamental support to respond to the arrival of refugees and to their long-term inclusion in their host countries. Therefore, ‘adult education and refugees’ is EAEA’s key topic in 2016,” the EAEA President concluded.